The lacrosse program looked like one of the more promising squads at Virginia Tech entering this season. After making it to the second round of the NCAA Tournament last year, the Hokies were ranked entering 2019 and looked to have all the talent necessary to succeed. However, the team has struggled against high level opponents and currently sits at 8-7 on the year. All seven of those losses came against teams currently ranked in the top twenty of the Inside Lacrosse Poll. There isn’t a bad loss on the Hokies’ resume right now, but they only have one win against a ranked team. The team is 1-4 in conference play, putting them in second-to-last place in the ACC with just two games to go. A large reason for the struggles in the ACC has been how talented the conference is this year. The Hokies’ last three games were against #5 North Carolina, #3 Syracuse, and #4 Notre Dame. Their only win in conference play is a one-goal victory over Louisville, who is winless in the ACC. Although the results haven’t come for the team this year, the experience is valuable. Tech’s schedule has 17 games this season, and ten of them are against ranked teams. Playing against top-tier talent will only help this young Hokies team as the program grows. The schedule won’t get any easier going forward, as the Hokies will welcome #1 Boston College to Blacksburg on Saturday at noon in Thompson Field for Senior Day. The Eagles enter Saturday’s match with a perfect 14-0 record, including eight wins over ranked opponents. They’ve defeated every other team in the top seven of the Inside Lacrosse Rankings, with the only exception being #2 Maryland. 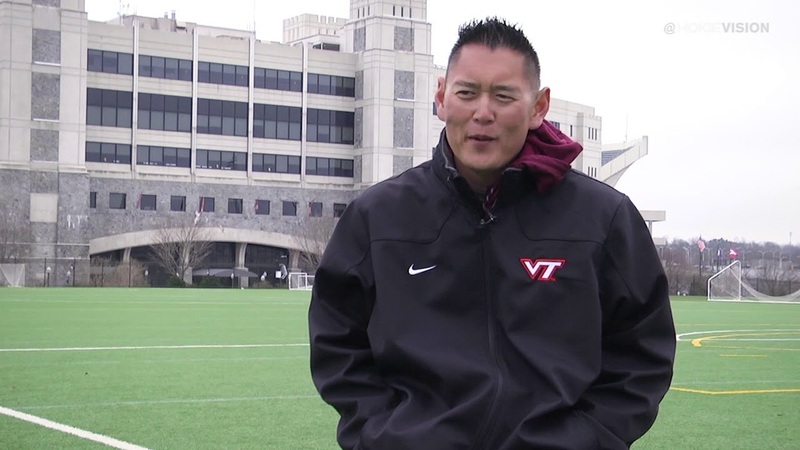 However, the Hokies have played well against Boston College in each of Sung’s first two years at the helm. The Hokies may have underperformed throughout the season, but they aren’t dead yet. They’ve only lost to ranked opponents, and one statement win would go a long way toward making their case for a tournament bid once again. It won’t be easy, but the opportunity is there on Saturday to knock off the top team in the nation and prove that Virginia Tech is an emerging elite program. VT Lacrosse doesn’t compete in the ACC. It is a club sport in the Southeastern Lacrosse Conference. Also send an email to the editor at hokiesports.com concerning your “Slight Edit”. FYI, the VT men’s club lacrosse team is currently 10-4 and ranked #11 nationally in the MCLA. They play arch rival #3 ranked Liberty this Saturday 4/20 at 7:30 at Thompson Field (the Women’s Lacrosse facility). A lot of fun for those of you who live a short drive away! I will be there from Northern VA, since I have offspring on the squad. I’m not going to the Spring Football game (Pretty far trip from where I live), but I think it would be great if BC came into that Lacrosse game expecting a few hundred VT fans to be there and instead found a packed house of screaming Hokies. Well written and interesting article about a sport I know little about. You need to check out lacrosse. Jim Brown was not only a football star at Syracuse, but a lacrosse. Thanks for the coverage Jake!! !